Garmin nuvi 67LM Review - Is it good value? - Which Sat Nav? 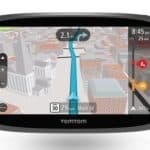 Home » Garmin » Garmin nuvi 67LM review – Is it good value? Garmin’s nuvi 67LM is part of their budget range of sat nav devices. It’s joined by the 57LM, 58LM and the 68LM in the entry level line up. It therefore, competes with the likes of the TomTom GO 50 for you attention (and your money of course!). This device comes with a 6inch screen and the letters (LM) tell us that it comes with Lifetime Maps. In reviewing the Garmin nuvi 67LM, I’ll be telling you what I liked and what I didn’t like about the device. Then we can decide if it’s good value or not? The design of the unit is similar to the other Garmin devices on offer. The device is simply a slim and rectangular box that looks well stuck onto the windscreen. What else would I want? There’s really not much else I can add that hasn’t been mentioned in previous Garmin nuvi reviews – check out nuvi 2599 for further details. In short though, it’s a slickly designed device and it gets the thumbs up from me! The 67LM like the (68LM) comes with a big 6inch screen. The display is bright, clear and easy to read whilst driving. The increase in the number of pixels to 800 x 480 provides a better looking display than previous models in the Essential Series. Like your television set at home – the higher the number of pixels the greater the clarity of the images on screen. There is a marked improvement in the screen quality when compared next to the nuvi 57LM which only has a 480 x 272 pixel screen. A feature of the Garmin range is that their devices are dual orientated. That is, you can attach it to your windscreen or dashboard in landscape or portrait position. When driving I always have my devices centrally located in the landscape position within the cabin area. For some reason I’ve never felt quite comfortable with the device in the ‘sideways’ portrait position. If however, you like to place the sat nav in between the steering wheel and the drivers door it suddenly makes sense as there is far less room in this area. The Garmin nuvi 67LM uses Foursquare to complement your ‘Places of Interest’ searches. If your looking for something specific e.g. a Barber, then you get a list of all the barber shops nearby or at your destination. The list will also tell your distance from the barber shops along with their general direction – ‘NE’ for North Easterly or ‘SW’ for South Westerly. Since adding Foursquare to their devices users now have access to more relevant POIs than previous. I have certainly found it useful when searching for a restaurant in an unfamiliar town – finding a good curry house is worth it’s weight in gold! Worth mentioning also is the addition of the ‘Direct Access’ feature. This feature provides you with exact location information. As an example, it will tell you that the store your searching for is located on the second floor, right hand side. As I don’t tend to visit shopping centres then I must admit to not having used this feature. My wife on the other hand, has used it to find a store within a large shopping centre. Apparently, it worked a treat and saved her a good bit of time as she didn’t have to wander around aimlessly searching for this shop. However, it doesn’t quite explain why she went missing for another couple of hours in the shopping centre! In fairness, I don’t believe for one minute that the sat nav could be blamed for those missing hours! Do you? 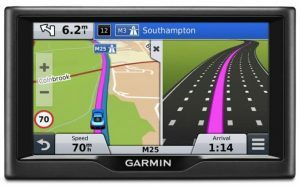 In previous blogs like the Garmin nuvi 2599 I have discussed why I have reservations about Garmin Real Directions. Unfortunately, it still doesn’t feel that natural when using this device. If your not aware of this feature it is designed to provide real directions – you will be told to “turn right after the church” or to “turn left after the statue” etc. My sister is a big fan of this feature as she believes it’s easier for someone who has no concept of distance – “turn left in 600 metres” means nothing to her. My issue however, is that it’s actually not that useful if you are not familiar with your location. It leaves me looking for both the actual turning I need and the landmark/building that precedes it.In fact I have found it to be a bit of a hinderance to my driving at times. I find myself looking at the sat nav, listening to the instructions whilst simultaneously looking for that landmark that marks the turning up ahead. Or perhaps, my brain is simply inflexible and likes the status quo when it comes to sat nav devices providing navigational instructions! The Garmin nuvi 67LM also comes with Lane Assist with Junction view. With this feature the screen will split into two providing further assistance when approaching a junction. You will get both the usual navigational screen along with what’s best described as a computerised photo of the road layout ahead. This is a really good feature and it worked well for me when I joining or leaving major roads. It ensured that I was in the right lane at the right time – which is exactly what it should do! The Garmin nuvi 67LM uses a simple suction cup to mount it onto the dashboard or windscreen. The device then simply clicks into place onto the holder. I’ve had no issues with the mounting system when it’s fixed onto the glass of the windscreen. It did however have a tendency to fall off when mounted onto the dash, particularly when I took a roundabout or a sharp turn (honestly, I don’t take those corners too hard!). So, to prevent rooting around on the passenger side of the car looking for a fallen sat nav, just stick the thing onto the glass! Garmin advertise this unit as being compatible with the Back Up/Reversing Camera BC-30. This is a completely separate option that allows you to see what’s behind you as you reverse. A useful feature if you struggle with backing up, but completely unnecessary if you have a built in camera system already. Garmin recommend that you get the camera installed by a professional as it requires a permanent power connection. This will however mean spending more money – which to be perfectly honest is why I haven’t purchased one 😉 If however, it’s something you think might be useful then head over to Amazon to read some other reviews of the camera. This is a super little sat nav if you are looking for a cheaper device. The addition of lifetime maps (although no traffic updates) makes it worthy of consideration. Yes, it’s missing voice recognition and it doesn’t have Bluetooth integration, but it has a good clear screen and it will happily get you to your destination without having to rely upon cellular signals. You can plan your trip, stop off at various places and utilise Foursquare for more information. All-in-all it packs a pretty decent punch for the price. A super sat nav for your car if your on a budget. Impressive navigational capabilities and the addition of Lifetime Maps make this a tempting little device. At this price there's no surprise that voice recognition and Bluetooth integration are not included. However, the lack of Traffic updates may mean you want to look elsewhere before purchasing. TomTom Go 500 Review - should you buy it? 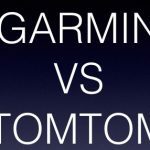 Garmin vs TomTom - which is better? Thanks for a very informative and in depth review of the Garmin nuvi 67lm satnav. We are in the market for a good quality satnav but it’s a minefield to be able to settle on one which encompasses all you require and is at the same time reliable. I’m not sure if we will go for another Garmin because ours, although being a budget satnav (54LM) is really unreliable and ‘Serena’ is always taking us down narrow roads and ‘short-cuts’ which end up making the journey twice as long as necessary. There is a facility for taking the fastest route but this never seems to be the case. When I am driving in places that I don’t know very well, I feel a lot safer when I have Satnav in the car to guide me. I appreciate this review of this Garmin product because it tells me both the pros and the cons and gives me much to consider before buying. I just want to make sure I don’t get lost, so is it the right one for me in your opinion? You have written an excellent review very detailed and easy for someone like me to understand. I am a Newbie to these devices. The Garmin nuvi 67lm sounds perfect for me. I see I too would struggle with the real directions, but it could be an interesting feature nonetheless! Is this the best option if you haven’t owned one before? I have been looking for a new gps to use in my car. How would you say the Garm Nuvi 67lm compares to using Google Maps? I don’t like using my phone when I am driving, but it is so necessary sometimes when I am lost. Thanks for the great article on the garmin sat nav, I have been a pretty big fan of the garmin products (have the fitness watches, and other devices). I am in the market for a new garmin GPS and this review was very helpful. I will be sure to revisit your site in the near future to look at all the other posts that you are going to create! Awesome review! I have a GPS built into my car and every time I pick my mom up to drive her somewhere she always talks about how she wish she had one in her car. She has a terrible fear of getting lost so she never drives to places she isn’t completely comfortable with. Thus making me take her places. I have been contemplating getting her something like this for her, but i worry about the complexity. While this doesnt have voice recognition, bluetooth or traffic updates, i think that can actually be a benefit for someone like her. I think this might be exactly what I’ve been looking for. I’m bookmarking your page for further reference and definitely will be checking into this. Thank you so much for the thorough review! Thanks for the review, but shouldn’t the overall score be 7.5 rather than 6.5? thanks for your review on THE Garmin Nuvi 67 lm. I’m a fan of Garmin and own a few of their GPS’s. I’m am not particularly fond of the Nuvi 67 LM as traffic updates and Bluetooth is important features for me. I love getting traffic updates and suggestions for alternate routes to avoid delays. Also if it were Bluetooth enabled, I would be able to control it from my smartphone. Thanks again for your review. Do you have any idea if I could use this in Europe? Thanks!